What is a Repair Café​? ​The Repair Café concept was developed in the Netherlands by Martine Postma, who had the idea of setting up meeting places nationwide where neighbors could repair broken items with support from specialists in a relaxed atmosphere. ​The first Repair Café took place in Amsterdam in October of 2009. It was so successful that in 2011 Postma started the Repair Café Foundation to provide support to local groups hoping to start their own Repair Café. Since then, the concept has grown to over 1,400 events in more than 30 countries. 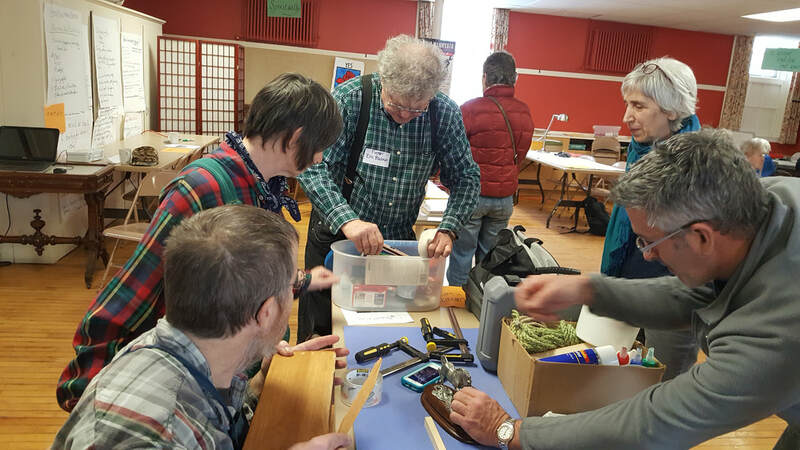 ​If you loved our Repair Cafés and feel inspired to host your own, please refer to our Repair Cafe Toolkit. We'll share tips and tricks about how to plan this kind of event, organizing strategies, how to pick a viable repair cafe site, what tools you'll need, how we recruited repair volunteers, ​and details about planning time and budgets.